Hello everybody! I finished a new project today 🙂 Remember the colorful primary plaid fabric from my previous fabric stash post? I decided to use it. 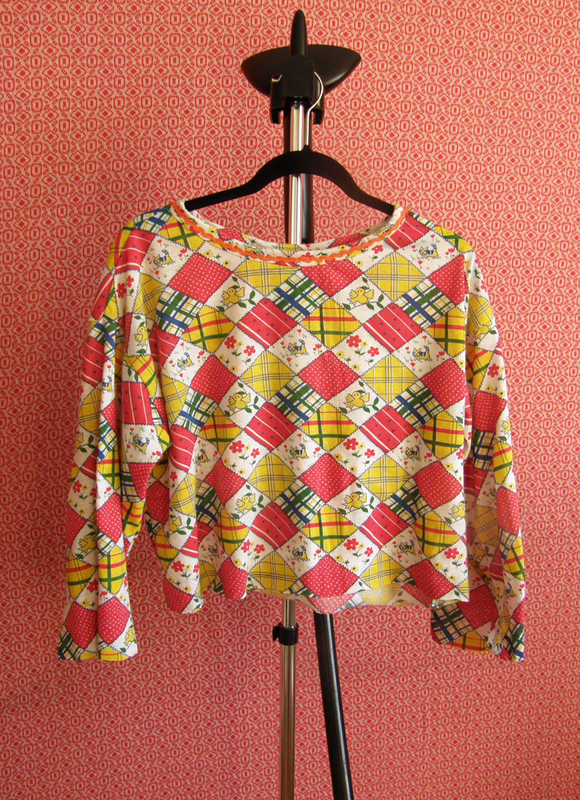 I initially wanted to make a dress but decided I need some more cute tops. I mostly live in t-shirts and tank tops. So I decided to go for a more funky t-shirt. 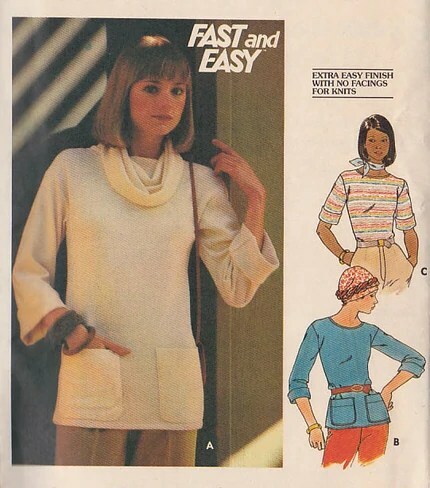 I used Butterick 4922 from the 1970s. I used one that was actually a size up for me, size 20 with a bust of 42. I like to have a variety of tight and oversized tees. 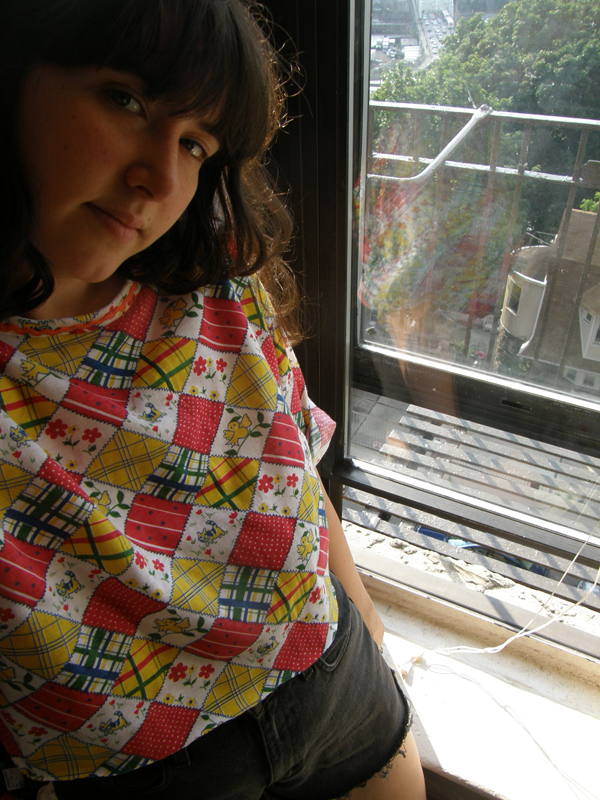 For this top, I wanted oversize. I shortened the length of the bodice to hit around my waist and shortened the sleeves. I added orange rick-rack around the collar for contrast. I left the sleeves and bottom hem raw. 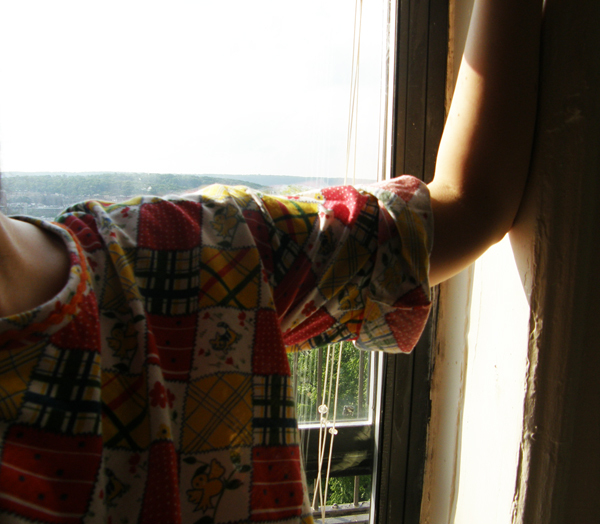 I like that I can leave the sleeves rolled or unrolled, where they hit below my elbow. A fun, free-spirited shirt! Here’s the tee hanging up on my garment steamer, sleeves unrolled. I need to start buying more vintage knits. I’m a very simple person when it comes to outfits. I like tees + skirts/shorts + tights or dresses. That’s 90% of what I wear. 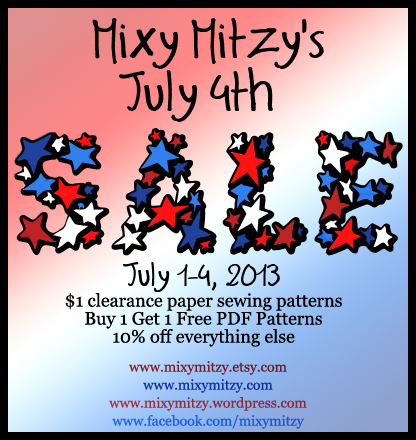 On another note, there will be a shop sale next week, July 1-4 in the Mixy Mitzy Etsy store. This is the first big shop sale and probably the only one until fall so take advantage!